I consider it my civic duty to point out interesting publishing-related blogs that I recently discovered. 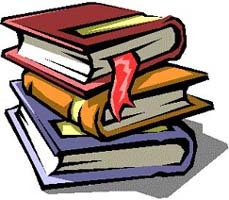 I'm particularly delighted to tell you about Lori Cates Hand's Publishing Careers blog. Why? Besides being a great resource for anyone interested in learning more about publishing jobs, Lori just happens to be the very first person I ever hired. Yep, she joined our team at Macmillan as a copy editor right out of college and look at her now! Lori is currently Product Line Manager at JIST, another local publisher that specializes in career books. So do me a favor: Stop by Lori's blog and tell her to keep up the great work. It's great to see more publishers jumping into the blogosphere and I'm thrilled that Lori is doing such a nice job representing JIST. As a loyal baseball fan I'm quite familiar with Bobby Thomsom and his "shot heard round the world" in the 1951 playoff with the Brooklyn Dodgers. Knowing some of the facts surrounding that big home run and feeling like you've actually just relived it are two completely different things. 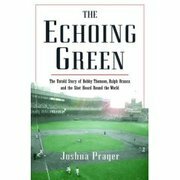 Having read Johsua Prager's The Echoing Green I feel like I not only sat in the stands that October afternoon, but I've also become close acquaintances with Thomson and the Dodger on the mound that day, Ralph Branca. I'm truly amazed at the level of detail Prager provides in this book. He meticulously describes Thomson and Branca's pro careers and how they crossed paths many times before that fateful day. Of course, the big story behind this one is the spying and sign-stealing work done by the Giants from their clubhouse perch in center field. If you've heard anything about this part of the story you won't be surprised by what you read in Prager's book; but what you will read is first-hand accounts from many of the Giants on the roster that year, including Thomson himself. How can an almost 500-page book about one swing of the bat be so entertaining and interesting? Well, first of all, there's really only about 350 pages of reading material here. That's not to say the remaining 150 pages are worthless; they're mostly reference material and notes to support all the facts presented throughout the book. Those sections are tucked away in back and there if you need them. Prager is clearly a gifted and engaging writer. He almost makes you feel like you could take a deep breath and smell the concessions stands from almost 60 years ago. He also does a fantastic job describing the ups and downs of Branca and how he managed to keep his cool (for the most part) over the years, despite the rumblings of Giant cheaters. Wiley marketing guru and colleague Ellen G. recently started a new blog called Confessions of an IT Girl. 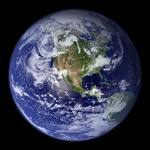 You'll want to grab the RSS feed and see what she has to say. Ellen just returned from the BlogHer and added to the "Do you need an agent?" discussion with a very insightful post. Ellen's expertise may be in the tech space, but rest assured she's got loads of experience and insight for all the other publishing categories as well. Ellen, welcome to the party -- keep up the great work! 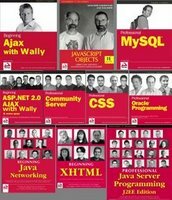 With the headline "Idea: Nerdiness sells", Kurt Strahm pokes a bit of fun at our authors and the WROX cover design. I suppose everyone has an opinion on why we feature author photos on the front cover. Aside from the unique branding it offers us, I tend to believe it helps add a bit more personality to the book. And yes, some of the pictures the authors submit aren't quite what we had in mind, but then again, we try to limit the amount of Photoshop work that's done on any one. As an added bonus, for the next few days only, I'm replacing my formal blog photo with my simpsonizeme.com one. Our 13th Hit of 2007! Earlier today I noticed that yet another one of our titles just cracked the Top 25 on Amazon's Computers & Internet bestseller list: Dreamweaver CS3 Bible is currently sitting at #21. Congrats to author Joe Lowery, editor Chris Webb and the rest of the editorial, production and marketing team on this one! For anyone keeping score at home, here are links to our 12th hit, 11th hit and the list of the first 10 -- all have hit Amazon's Top 25 on the Computers & Internet list in 2007.